For over 48 years, Taggart Printing has been dedicated to delivering the highest quality printing solutions in an efficient and timely manner. That's why our customers come back time after time for all of their printing, binding and direct mail requirements. From digital and offset printing services to direct mail solutions, in-house creative services and an endless number of paper selections, Taggart Printing offers a comprehensive suite of services. 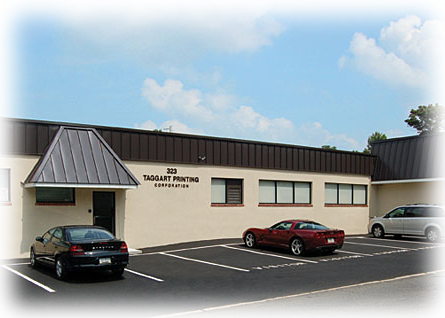 Located in the heart of Chester County, we are conveniently based in West Chester, PA where we serve the printing needs of a wide range of businesses, organizations and individuals. From West Chester, King of Prussia and Exton to Downingtown, Kennett Square and Paoli, we proudly serve local communities throughout Chester County as well as surrounding counties, like Delaware, Lancaster and Montgomery. We really have no boundaries as we've delivered printing projects to clients all throughout the greater Philadelphia region as well as around the country. Discover the experience and commitment to quality at Taggart Printing. We've been delivering what we promise for almost five decades. where we offer free, off-street parking for our customers.